It’s Tee Time! Play some great golf in Tennessee, whether it’s River Island Golf Club or Sevierville Golf Club, it’s world class. The Sevierville Golf Club—The “Best in the Smokies”, two 18-hole championship courses: The Highlands, a par 70 with rolling hills and freshwater ponds and The River, a par 72 you’ll be playing along and across the Little Pigeon River. This Tennessee course is in the foothills of the Smoky Mountains, Sevierville, Pigeon Forge and Gatlinburg. After golf, their club house offers delicious food and beverages. They welcome you to bring your group and get customized food and beverage presentations for any size. For additional great views and seating, dine and eat in the Pavilion. Rent the Pavilion for events or smaller groups. Also enjoy a gourmet lunch before or after hitting a bucket of balls. 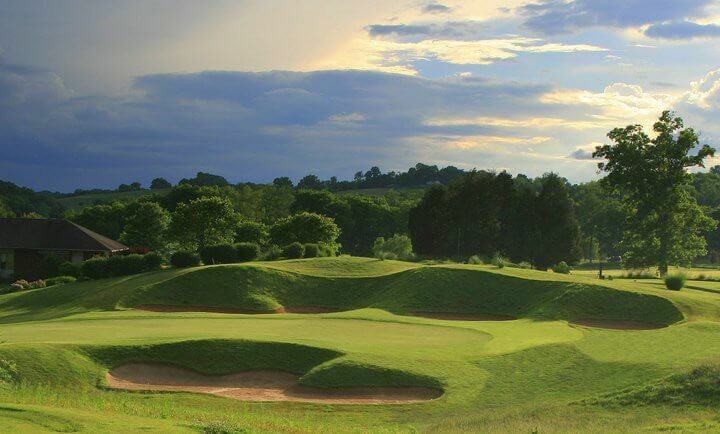 River Islands Golf Club—Enjoy East Tennessee’s #1 Golf Course with a true links style, Arthur Hills design. If you’re looking for a challenging course you’ve found it, the course plays over 7,000 yards from the back tees. For a less competitive round of golf, play the more manageable 6,300 yards from the regular tees. After your game, relax in the Islands Grill with a domestic or imported beer as you enjoy a fresh hamburger or hot dog with chili. With a 4,500 square foot clubhouse they are perfect for your corporate golf outings, tournaments, and charitable events. River Islands Golf Club can accommodate groups from 20 to 200 and is Tennessee’s fastest growing venue. Offering clinics and group instruction taught by a PGA-certified professional. Plan your social events there, right in the Smoky Mountains. They are a great choice for any social function you may have. Planning a wedding? They can accommodate up to 200 guests and work with you on each step.